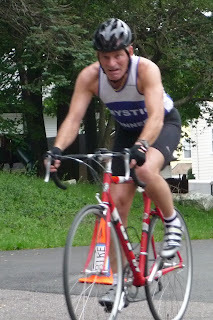 Here are photos I took at the 2009 Witch City Triathlon in Salem, MA. 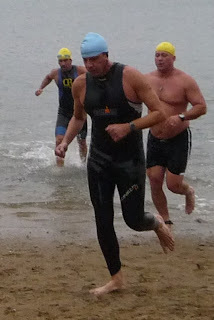 This Sprint-distance triathlon consists of a 1/2-mile Open Water Swim, a 12-mile bike leg, and a 5K run. 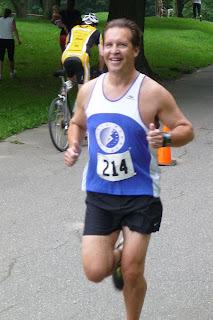 Fellow Mystic Runners Jeff Mader and Bob Lane joined me so we could compete as a relay team. I swam... Jeff rode his bike.... ...and Bob ran.